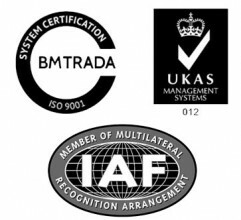 The new ISO 9001: 2015 standard was published on 23rd September 2015 following over three years of revision work by experts from nearly 95 participating and observing countries to bring the standard up to date with modern needs. This section provides a range of guidance material produced by our technical team as well as links to training workshops to help you understand the changes to the standard and how they will affect your certification. Restructuring of the standard to adopt the high level Annex SL structure. Greater integration of the standard with the strategic direction of the organisation and business processes. Enhanced requirements with regards to top management under a new clause titled leadership. Introduction of a new requirement to determine risks and opportunities (Risk- based thinking) to support and improve the understanding and application of the process approach. Introduction of a new requirement to understand the context of the organisation as well as the expectations of interested parties. More flexibility regarding documentation and documented information. A requirement to define the boundaries of the quality management system. A new requirement to manage organisational knowledge.